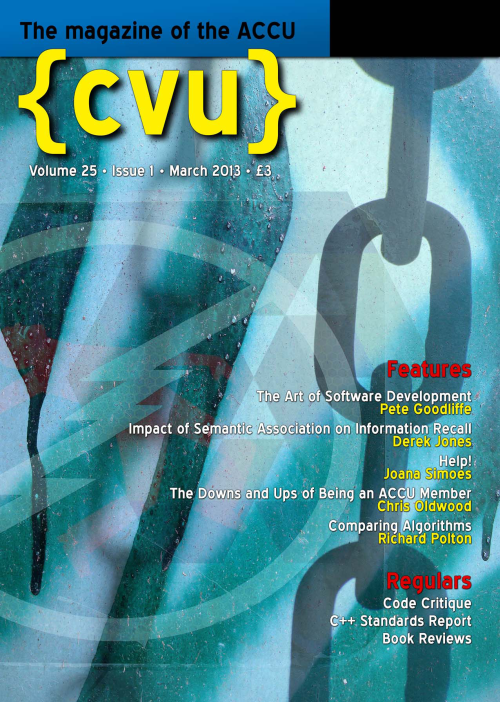 The March issue of ACCU's C Vu magazine is out now. It contains my latest Becoming a Better Programmer column. This one is called The Art of Software Development. A little light relief for my column faithful.